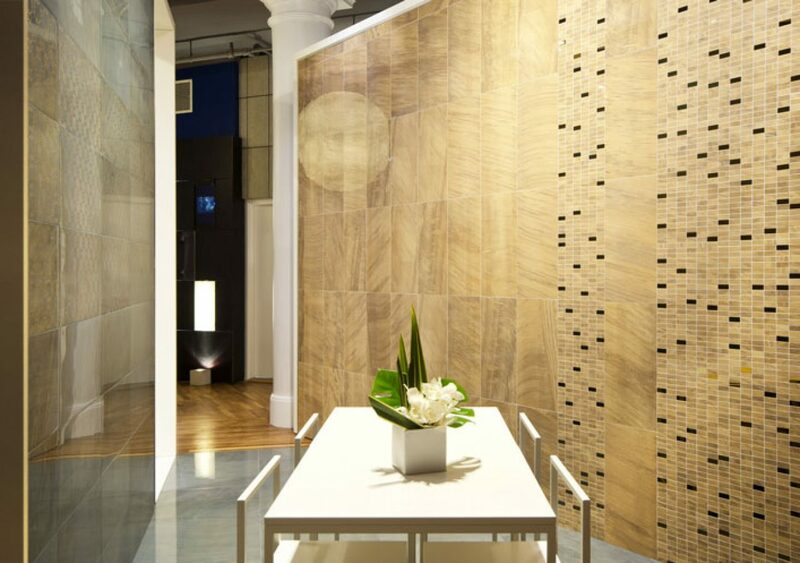 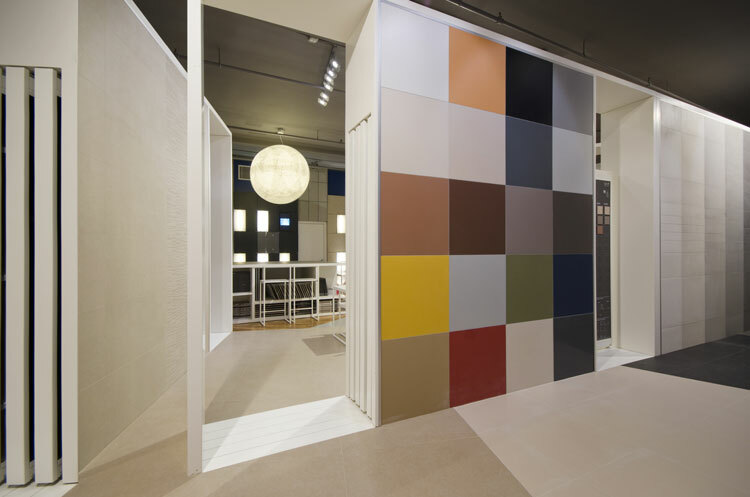 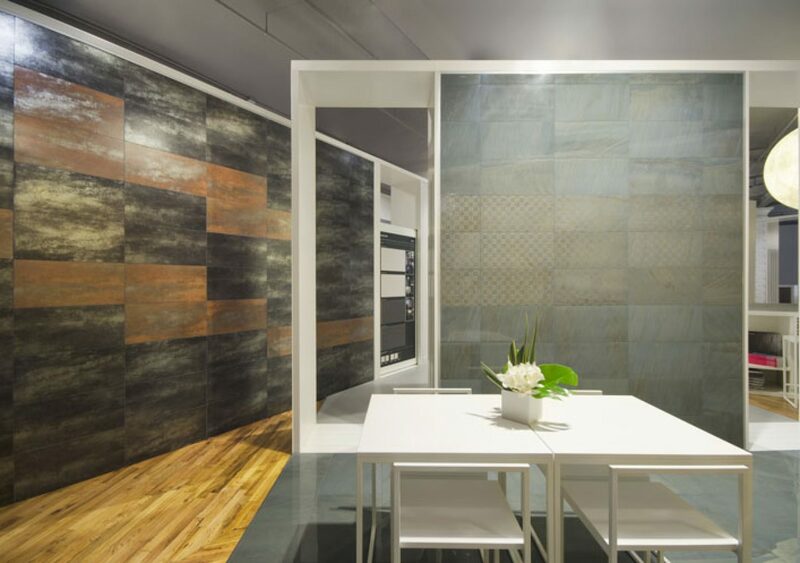 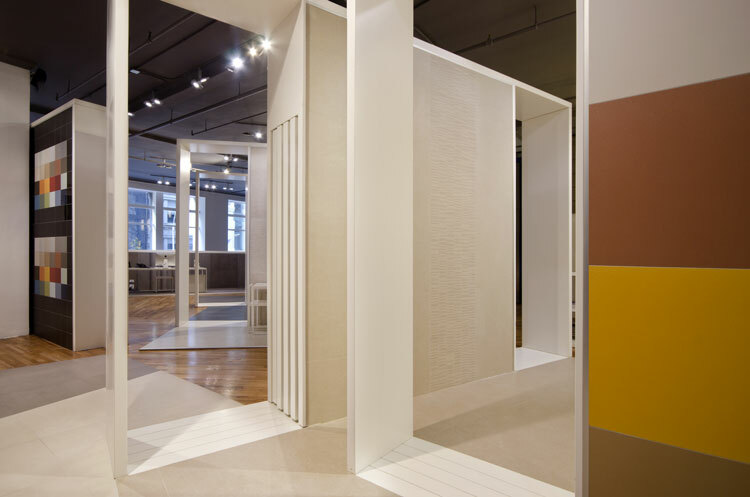 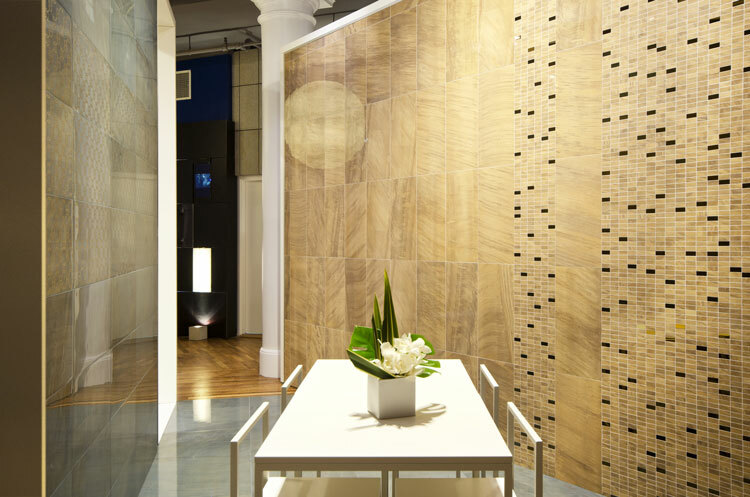 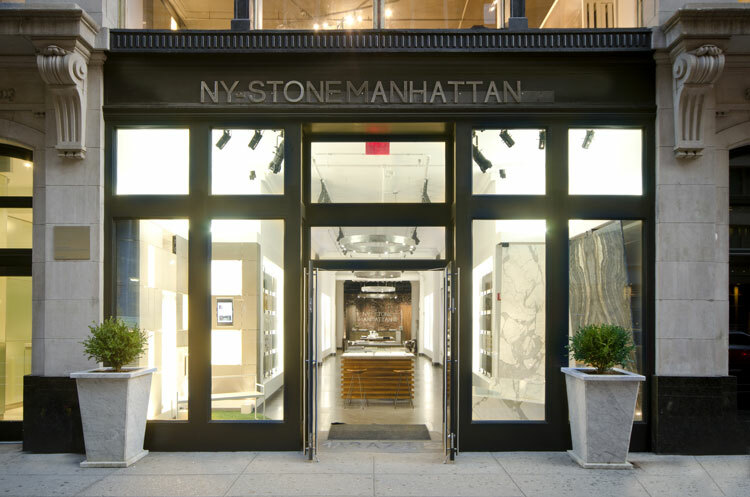 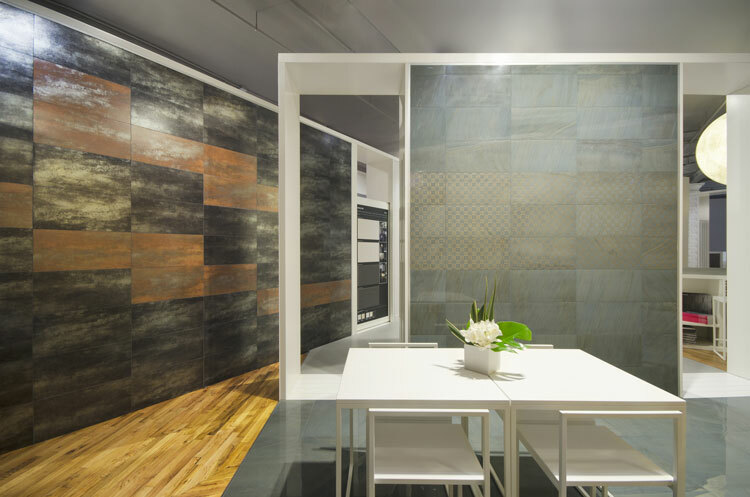 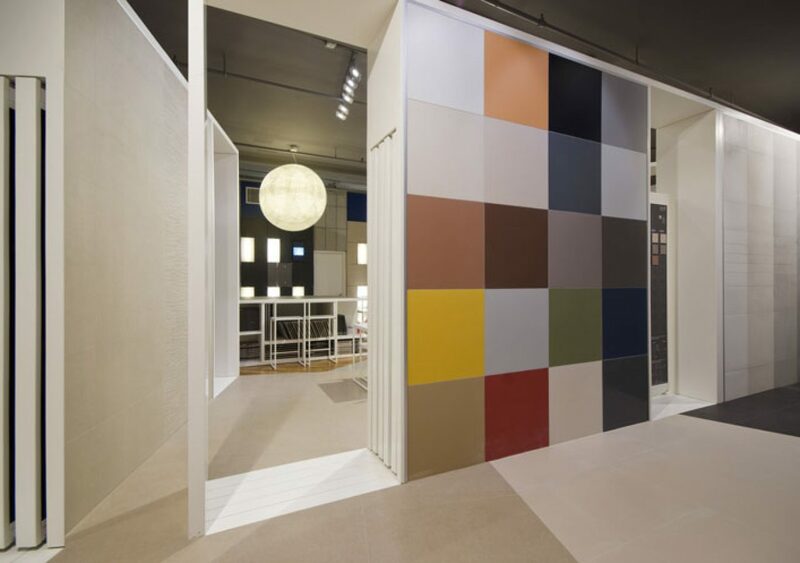 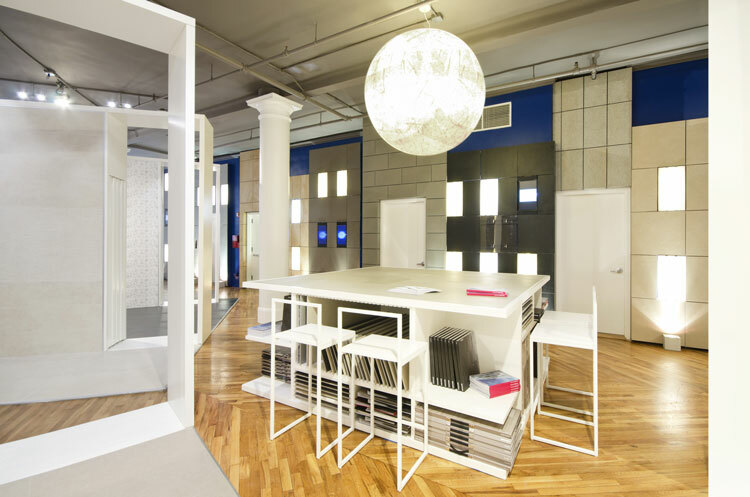 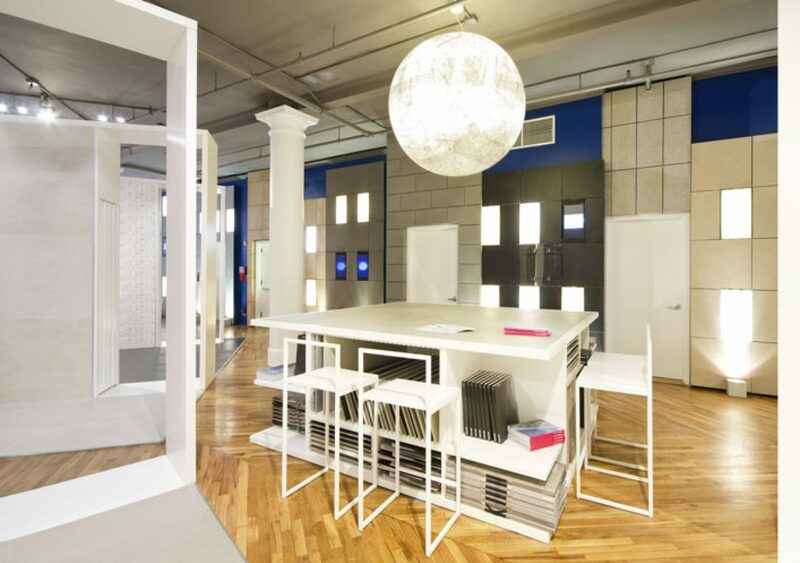 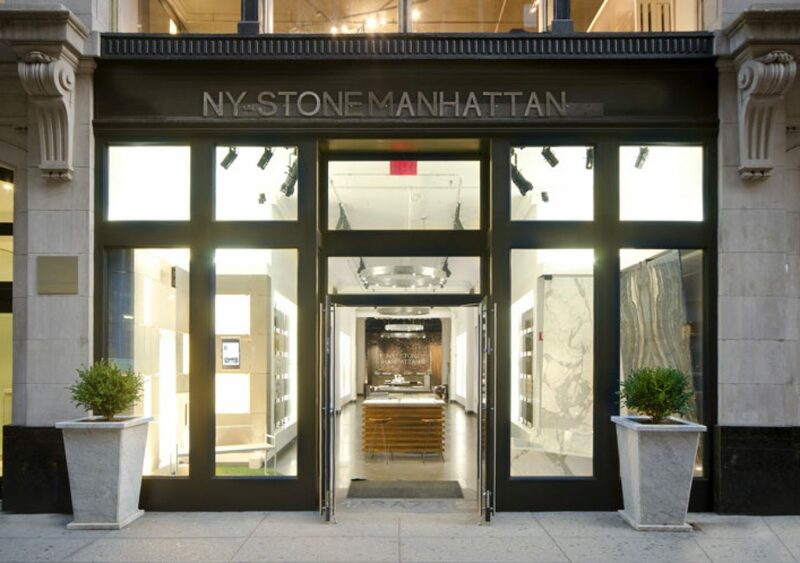 This is the first Marazzi showroom in collaboration with “NY Stone Manhattan”, the center of NY design streets. 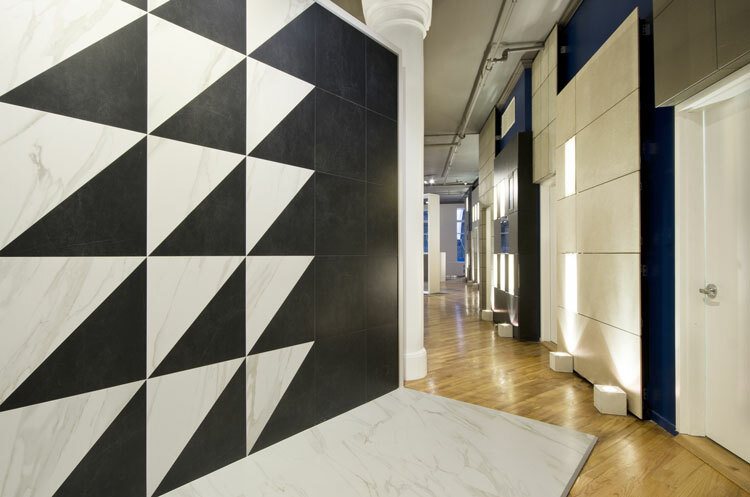 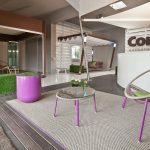 Housed in a lendmark historic building, the showroom highlights the product selection of italian concept and fashion, atypical for a ceramic showroom. On the first floor, the showroom is organized as a succession of fluid theater wings, coated in ceramics that create the main path, in the center of which there is a working area and a backlit wall inspired by the new York skyline, presenting Marazzi Engeenering products & technologies.